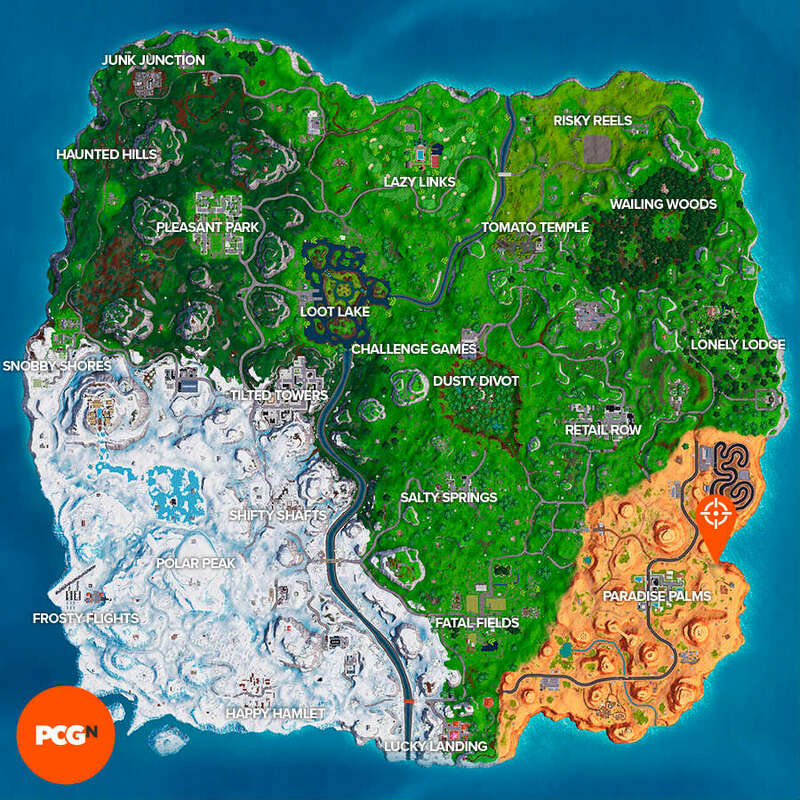 Where is the Paradise Palms Shooting Gallery in Fortnite? You’ve probably bumped into this little guide after having just had a read of the latest weekly quest in Epic’s battle royale game. 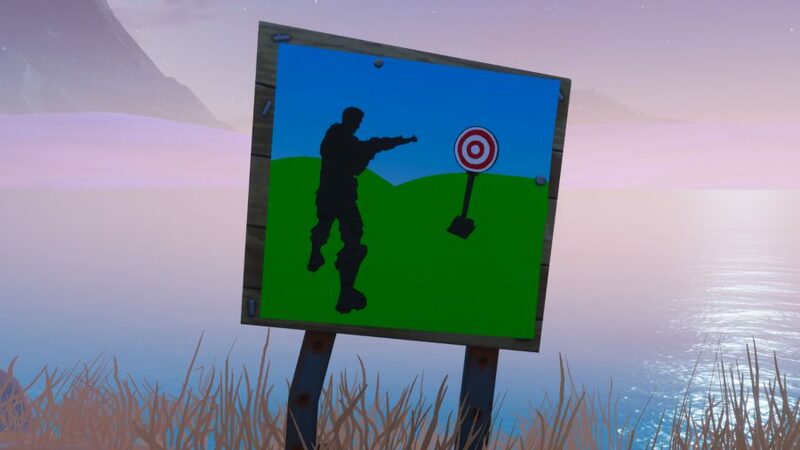 For this part you need to find the Fortnite Paradise Palms Shooting Gallery so you can get your aim down to a tee. And we don’t mean that in the same way as we would at Lazy Links. Anyway, in case you didn’t know already, this is a staged challenge consisting of three parts. If you don’t know that, however, you’re probably in the wrong place: this is the third and final part of this mission, and you’ll need to have finished the first two parts for it to count. So, let’s get on with finding the Paradise Palms Shooting Gallery. We’re sure you’ve honed your shooting prowess already in your many hours with Fortnite and in the best FPS games, but we can always use a bit of a fun refresher. That’s why we’ll be dropping into the desert biome and east of the main settlement of Paradise Palms to take a pop at some red-and-white bullseyes. So, get ready, here’s where to find the Shooting Gallery near Paradise Palms. As the challenge title states, you’ll be searching east of Paradise Palms, which is the built up area in the desert biome and south of the race track. The Gallery is north-east of this settlement and north of the homestead along the coast. There are more than one places to go, however, as you can just about see in the screenshot. Regardless, if you need more specific directions we’ve produced a video and map below. And there you have it, that’s where you can find the Shooting Gallery near Paradise Palms. We hope our guides have helped you get the cool Fortnite skins and other cosmetics through the season 7 Battle Pass, but the chance to do all that will have gone by the time the Fortnite season 8 release date rolls around. So, make sure you’ve visited all Fortnite Expedition Outposts to help you unlock as much loot as you can. For now, what with your better-trained aim, we’ll be avoiding you next time we see you on Epic’s brightly-coloured battlefield.